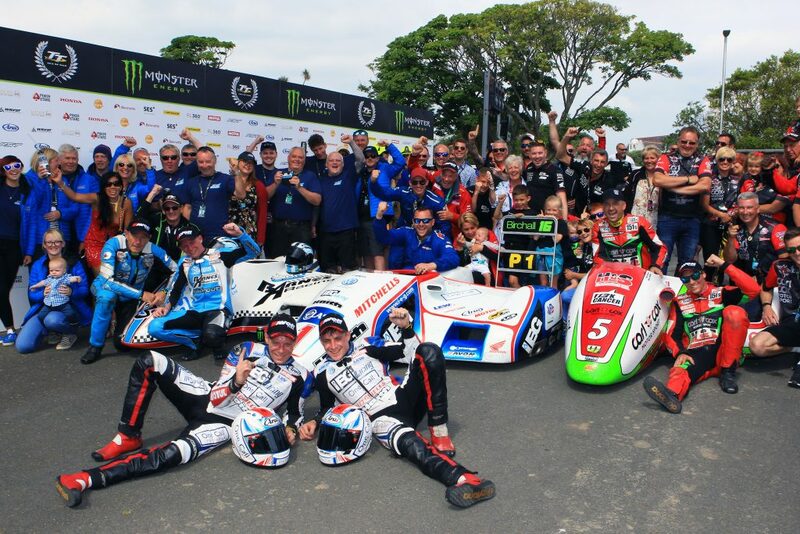 Ben and Tom Birchall have won the 2018 Locate.im Sidecar TT Race 2 at the Isle of Man TT Races with an absolutely flawless performance that saw both lap and race records smashed for the second time in less than a week. The win gives the brothers their third TT double and their eighth win around the 37.75-mile Mountain Course. In perfect conditions, the IEG Racing supported pair rode three blinding laps, all of which were inside their previous lap record set in 2017. Following a steady start to the race, driver Ben Birchall began to push and on lap two, the brothers increased their lead over the second-placed outfit to over 15 seconds. Their lap-time of 18 minutes 59.018 seconds – the first sub 19-minute lap for a sidecar – netted the Mansfield-based duo a new record average speed of 119.250mph. Easing off just a little on the final circuit, the Birchalls still recorded an impressive lap of 118.427mph. The win marks the eighth for Mitchells of Mansfield supported Birchall Racing – their fifth in a row. Tom now equals Manxman Dan Sayle as the most successful sidecar TT passenger, both with eight wins to their credit. Birchall Racing won the Fred Hanks Award for the fastest aggregate time in both sidecar races and, with three LCR outfits on the podium, were also awarded the Chassis Manufacturers Team Award. Ben Birchall: “What can I say, it’s been such a fantastic week. I’ve got two great competitors who pushed me all the way today and on the opening lap the first board I saw said we were in second place – two seconds behind. I knew then we had a race on our hands. I have to give full credit to John (Holden), it’s been a tough week for him, and I wish Fiona all the best following her accident. Tom Birchall: “It feels amazing to take another win on the TT course – you can never take anything for granted around here. The first lap felt strong, but John was just that little bit faster – I knew then we would have to press on a little more. We fired out of Quarterbridge on the second lap so well, that it was obvious something special was going to happen, Ben’s driving was amazing – smooth and yet so fast and that’s exactly what you need around the Isle of Man. 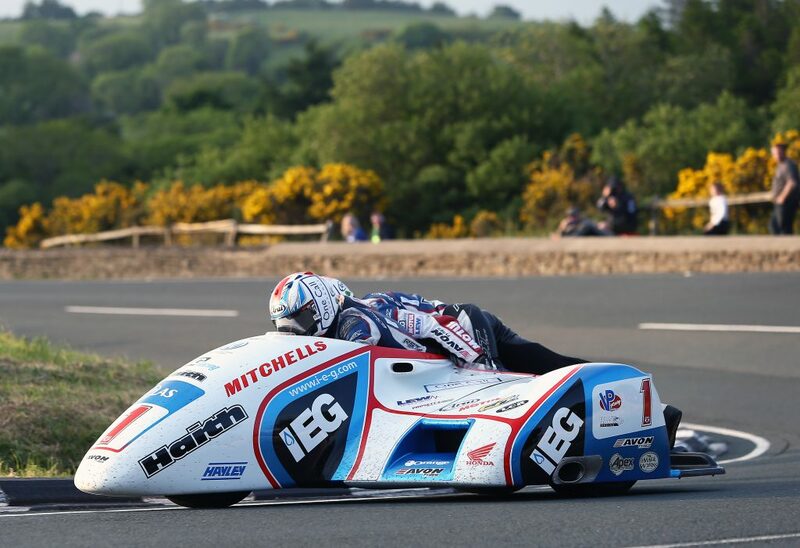 Birchall Racing now turn their attention to the FIM World Sidecar Championship and round three at Sachsenring, Germany, June 23-24.